This three hour class will give you the foundation to master sewing using 3 skill-building projects from the book, School of Sewing, by Shea Henderson. You will learn the basics of machine sewing, including threading the machine and bobbin, using different stitch settings, and adjusting tensions and stitch lengths. Class Cancellation Policy can be found HERE. Requirements: What is a Newbie? : You have never touched a sewing machine before or it has been years since you have. You know very little to nothing about sewing but you are eager to get started. Supplies: *Recommended Book: Lucky Spools School of Sewing Class 1 Tote *2/3 Yd Tote Exterior Fabric *2/3 Yd Lining Fabric *2 yards of 1in. or 1-1/4in. Cotton Webbing for Straps: choose short or long strap *One spool of all-purpose thread to match fabric, such as 50 wt. 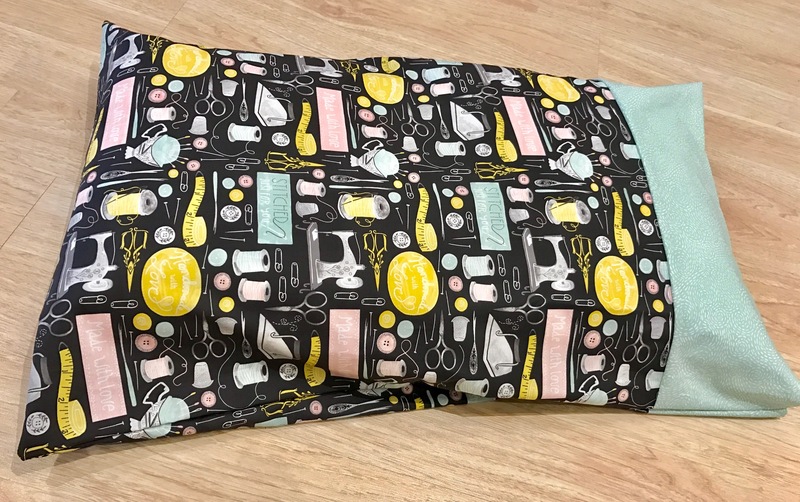 Aurifil in Dove Class 2 Apron *1 yd Apron Main Fabric * Half yd Apron Pocket *3 yd 1 in.Twill Tape for apron strings *One spool of all-purpose thread to match fabric, such as 50 wt. Aurifil in Dove Class 3 Pillow *1 Yd Front & Back (same fabric) OR 5/8 Yd for each Front & Back fabric (as sample) *1 Yd Fusible Fleece (optional - ideal with quilting cotton face fabric) *22 in. Coil Zipper *18in. Pillow Form *One spool of all-purpose thread to match fabric, such as Aurifil 50 wt in Dove All supplies are available for purchase at The Modern Sewist and you get a 10% class supply discount. Please purchase supplies in advance of your class. If you plan to shop for supplies the day of your class we recommend arriving at least 45 minutes early.